For insurance firms that operate on the traditional selling model, customer loyalty is rapidly decreasing as competition from banks, direct channel and aggregator websites make it easier for the customer to find the cheapest price. How can a firm create a differentiating customer experience that enables it to compete on some basis other than price? 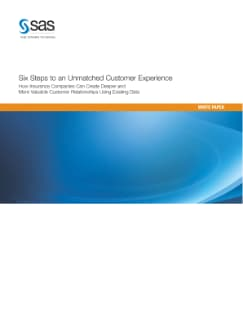 This white paper describes six key steps and the enabling technologies for insurers that want to cultivate deeper, more loyal and more valuable relationships with customers.